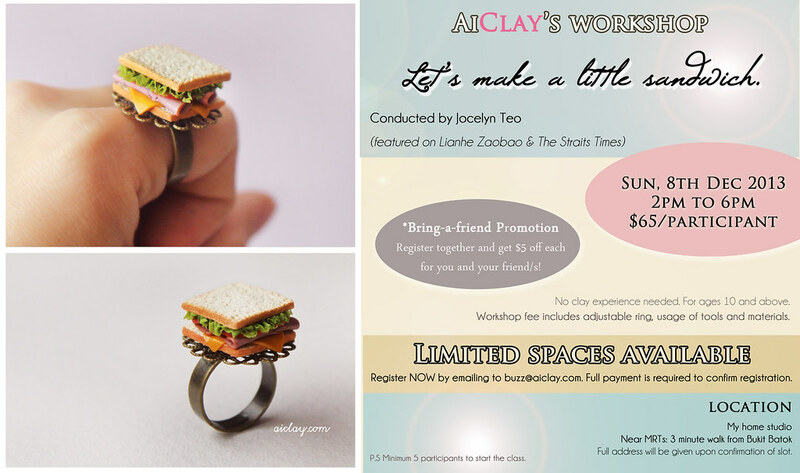 AiClay - a Haven of Miniature Food: Wrapping up the year, crafting with you guys. I'm finally recovering from the mother of all sore throats, just yesterday I could barely swallow! 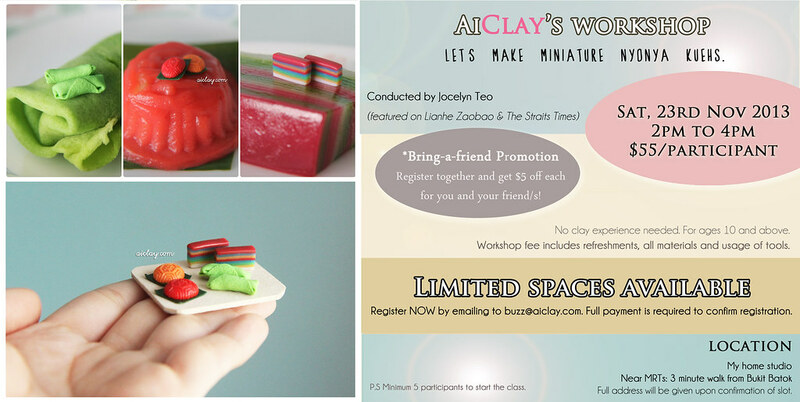 Thankfully I feel way better today, and I'm here to share the final few craft workshops I have planned for the final two months of 2013! The first one is happening TOMORROW, so if you're keen get those fingers moving and email me at buzz@aiclay.com to register for slots pronto! 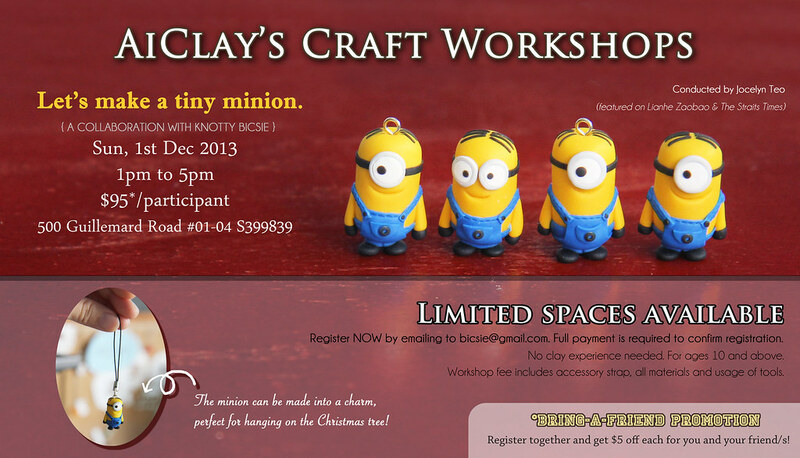 Then we have another product of the minion craziness, now you can make YOUR own little fellow! They can be made into ornaments to hang on a Christmas tree as well, perfect for gift-giving this season. Finally, we're wrapping up the workshops with one of my favourite content to teach, because it is just so much fun to assemble the many layers just like how you would in a real sandwich. Note that the sandwich can be made into a necklace charm (Necklace chain will be provided by me) as well!